THE Ladies Gaelic Football Association’s 2018 Gaelic4Teens programme proved hugely successful in 15 clubs representing 12 counties. Now it’s time to register your interest in the 2019 Gaelic4Teens programme, as the LGFA is now inviting applications. The 2018 programme drew to a spectacular close with an activity day at the GAA’s National Games Development Centre on May 12 last – and now your club has the opportunity to sample the magic of Gaelic4Teens. 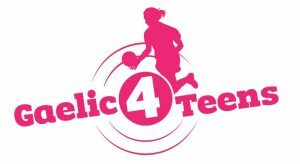 The Gaelic4Teens initiative aims to tackle the issue of player retention in the 15-17 age bracket and after a successful pilot in 2017, the programme was expanded for 2018. The programme spanned eight weeks and culminated with that jam-packed day of activities in Abbotstown, as participating clubs visited the impressive venue for a series of 7-a-side games, while also picking up valuable tips and coaching expertise from Dublin’s 2010 All-Ireland winning goalkeeper Cliodhna O’Connor, Cork star Orlagh Farmer and Monaghan captain Sharon Courtney. After completing the programme, participating clubs are armed with the knowledge and skills necessary to retain players in their late teens, and their progress will be consistently monitored throughout the following year. For full details on the 2019 Gaelic4Teens Programme, click on this LINK.